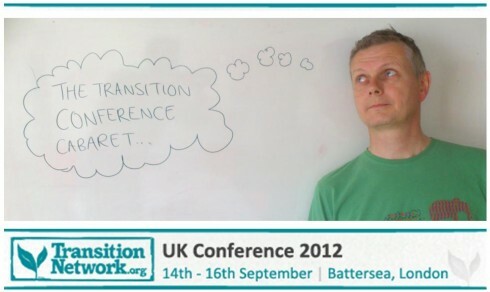 One of the highlights of the 2012 Transition Network conference will be the Transition Cabaret on the Saturday night. It will feature James Marriott of Platform, actor and performer Ben Mellor, the social arts project In Your Own Skin with live vocals from Juliette Russell, performer poet Kate Tempest, live music and dancing from Holly Molly and the Crackers, as well as other treats yet to be confirmed. It will all be hosted by the “not only funny, but tender and true” (The Guardian) Matt Harvey. We asked him to tell us more about the evening and what people can expect from it. For those not attending the conference, tickets for the Cabaret are available from the Battersea Arts Centre box office.